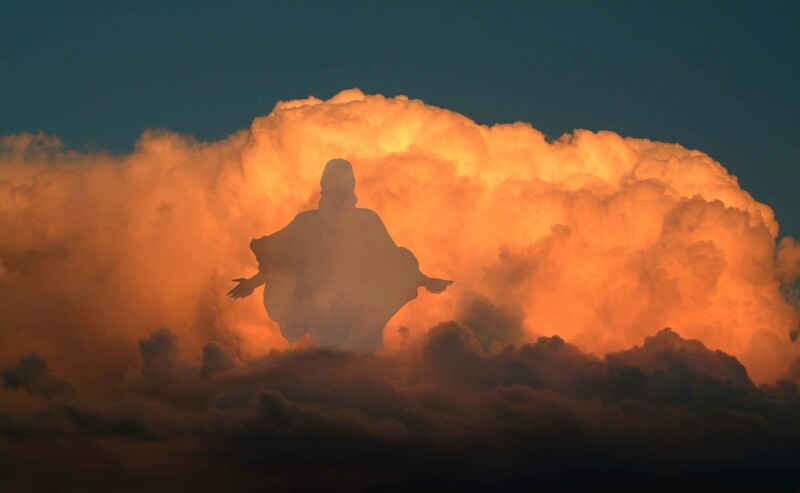 Whoever thinks that we will be disarmed, will do it over my dead body. This is exactly why law abiding citizens who have never been arrested, but want to protect their families, NEED to be armed. It is also why public schools need to protect their students by having personnel within the school who are proficient with guns. You don’t talk down an MS-13 member with sensible words. I think that these gang members are probably possessed. These monsters (MS-13) are coming over our border in droves. Gun sales will most like surge as they did during the Obama years. Gang-related fights are now a near-daily occurrence at Wirt, where a small group of suspected MS-13 members at the overwhelmingly Hispanic school throw gang signs, sell drugs, draw gang graffiti and aggressively recruit students recently arrived from Central America, according to more than two dozen teachers, parents and students. Most of those interviewed asked not to be identified for fear of losing their jobs or being targeted by MS-13. One 14-year-old girl claims she was raped by a gang member. She reported the incident to police but then changed her mind and recanted, apparently fearful that the gang would harm her. Despite that, she claims was later threatened by a gang member with a gun. Thirty-two students have been suspended this year for fighting and police have been called to the school 74 times as of May 1st. That may sound like a serious reaction from authorities but one teacher tells the Post the actual number of fights are now up to 2-3 per day. The suspensions and police intervention are barely making a dent in the violence. All of this is reportedly happening because of a handful of kids, maybe a little over a dozen have joined the gang. It’s part of a resurgence that is happening in cities around the country where unaccompanied minors who came to the border have been resettled. The Post reports up to 5,000 minors have been settled in Maryland near this middle school. Most of those kids are involved in gangs, but chaos created by the handful who are is so bad that other students at the school have formed a kind of counter-gang to oppose MS-13. I don’t condone kids fighting, but if the administrators are going to look the other way it’s inevitable that kids are going to band together to protect themselves. 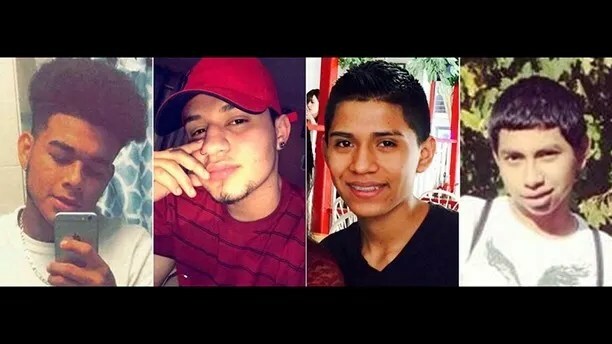 The four young men who were hacked to death in a New York park in April were lured there by two women associated with the vicious MS-13 street gang, and ambushed by more than a dozen gang members armed with wooden clubs and machetes who engaged in “a horrific frenzy of violence,” according to court documents obtained Wednesday by Fox News. 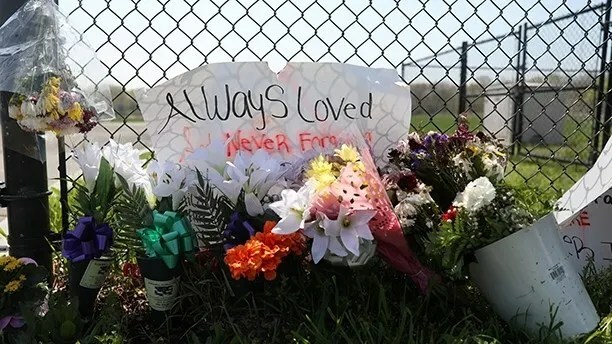 The new details were released Monday as part of an indictment charging three of the street gang’s alleged members — Alexis Hernandez, Santis Leonel Ortiz-Flores and Omar Antonio Villata — with the April 11 deaths of the four men. The three were each charged with one count of racketeering, one count of conspiracy to murder rival gang members and four counts of murder. In a letter arguing the suspects should be denied bail, prosecutors gave a new look inside what led to the brutal killings of Justin Llivicura, 16, Jorge Tigre, 18, Michael Lopez Banegas, 20, and 18-year-old Jefferson Villalobos, who was visiting from Florida at the time. A fifth young man who had accompanied the victims to the park ran for his life and escaped, the court memorandum said. “MS-13 suspected that some of the men were from a rival gang, and directed the female associates to lure them to a community park…where a group of MS-13 members would be waiting to attack and kill them,” federal prosecutors wrote in the letter. Prosecutors say when the women brought the men to the park, they then sent a text message of their location to other gang members who were “waiting to attack. “Hernandez, Ortiz-Flores and O. Villalta and the other MS-13 members approached and surrounded the victims,” prosecutors wrote. The four young men “were marked for death merely because they were suspected of disrespecting the MS-13 and being rival gang members,” according to prosecutors. Acting U.S. Attorney Bridget M. Rohde announced a superseding indictment Wednesday charging 17 members and associates of MS-13 in connection with the April killings, and a January killing of a man. “We won’t tolerate this violence in our schools, in our parks and our neighborhoods,” Rohde said at a news conference. Several additional juvenile suspects have been arrested, law enforcement sources told Newsday, which was first to report on the letter..
Bertha Ullaguari, Tigre’s mom, told the Associated Press she did not recognize the names of any of the suspects charged in the indictment. The 43-year-old who emigrated from Ecuador said she has no mercy for the accused. “I want them to be tortured like my son was tortured,” she said. MS-13, also called Mara Salvatrucha, is believed to have been founded as a neighborhood street gang in Los Angeles in the mid-1980s by immigrants fleeing a civil war in El Salvador. The gang grew after some members were deported to El Salvador, helping turn that country into one of the most violent places in the world. The killings of the young men in April were among 11 murders that have struck the communities of Brentwood and Central Islip, on eastern Long Island, since September. In all, 19 killings on Long Island have been blamed on MS-13 since January 2016. In March, authorities announced the arrests of more than a dozen gang members, including some charged with killing two high school girls in September 2016 with baseball bats and machetes as the teen girls walked near their home. I think that Leftist liberals would be singing a different tune if one of these criminals was attempting to break into their home. The ONLY thing that would stop one of these gang members would be a gun pointed at their face. That may sound horrible to some, but anyone with a brain knows that I’m telling the Truth.